Five of Rangers' games in the SFL will be broadcast live each year. Broadcaster Sky Sports has reached an agreement for coverage of the Scottish Premier League and Scottish Football League for the next five seasons. The deal announced on Tuesday includes 30 matches broadcast live per season, featuring five of Rangers’ games in the SFL each year. Rangers are scheduled to begin their season in the Third Division with a game against Peterhead on August 11, which will be broadcast on Sky, while Celtic's SPL opener against Aberdeen on Saturday will also be screened by the channel. 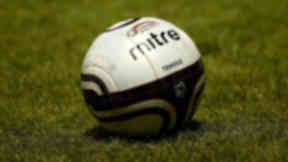 The new deal came after negotiations between the footballing authorities and the arm of BSkyB. Barney Francis, managing director of Sky Sports, said: "We've supported Scottish football since we started over 20 years ago, and have always wanted to continue that commitment. "Our viewers will see the SPL for five more years and our schedule includes the opening league match for Celtic. We will also follow Rangers as they plot their way back to Scottish football's top flight. "Clubs now have certainty over their income and exposure across the UK and Ireland and we look forward to the new season." The broadcaster refused to be drawn on how much the deal was worth, while fellow firm Espn has not yet confirmed whether it has reached an agreement with the footballing authorities to broadcast the game. 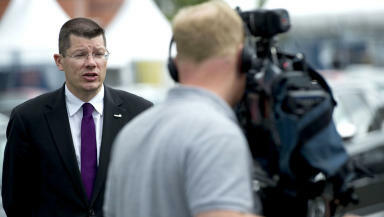 SPL chief executive Neil Doncaster declined to comment on the TV deal announced by Sky, which comes ahead of a meeting of clubs on Friday where they will be asked to vote on the broadcasting agreement. 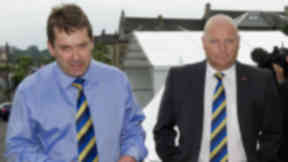 Prior to the financial meltdown at Rangers, the SPL had agreed a TV deal with the two broadcasters that was worth £80m. However, SPL chief executive Neil Doncaster warned that the financial implications for Scottish football should the TV deal collapse would be "severe". In a presentation to SFL by chief executive David Longmuir earlier this month, clubs were warned forcing Rangers to start in Division Three would cost the game £16m a year. The calculations behind this financial loss figure have never been provided, although Mr Longmuir insisted it was part of a "factual" document. On Monday, Mr Doncaster and Celtic chief executive Peter Lawwell travelled to London to conduct discussions over the coming TV deal. The SPL said the meeting involved Mr Lawwell, who is not an SFA official, as he was a member of a steering group briefed with concluding the TV deal.